"Ranger Jack" began his children's songwriting career in the spring of 2011 after more than 20 years as a music teacher, producer and performer. He had an epiphany after spotting an ad in "Backstage West" magazine soliciting children's music for a New York City music publishing company. As a child, Jack was captivated by children's songs such as Puff the Magic Dragon and Rocky Raccoon as well as music from Disney movies, the film Oliver! and the Broadway musicals Hair and Pippin. In addition, Jack says some of his fondest childhood memories are those of his mother singing him lullabies as he drifted off to sleep. As he got older, Jack grew to love the spirited and often humorous songs of bands like The Beatles and The Moody Blues--bands that would influence his own musical style. Always looking for a good story, Jack spent much of his youth creating a fantasy rock opera called Mystery Outlands. So it seemed par for the course that children's music came natural to Jack. In March of 2011, he wrote and recorded three songs in answer to the magazine ad and subsequently wrote and recorded the 10-song CD, "Animals are Happy." Jack was then commissioned to write instrumental music for the children's DVD reading program "Skip & Daisy," which is now marketed across the globe. In August of 2012, Jack performed before hundreds of children at the Huntington Beach Library's Concert in the Park in his debut appearance as "Ranger Jack." He soon after performed for many more libraries, the Kids Club at the Bella Terra Mall in Huntington Beach, monthly at the Orange Wood Home for children, the Bower's Kidseum, the So. Co. Plaza Spring Garden Show, Pretend City, Santa Ana Zoo, Zoomars, and lots of performances at preschools throughout So Cal. Not to mention countless birthday celebrations. 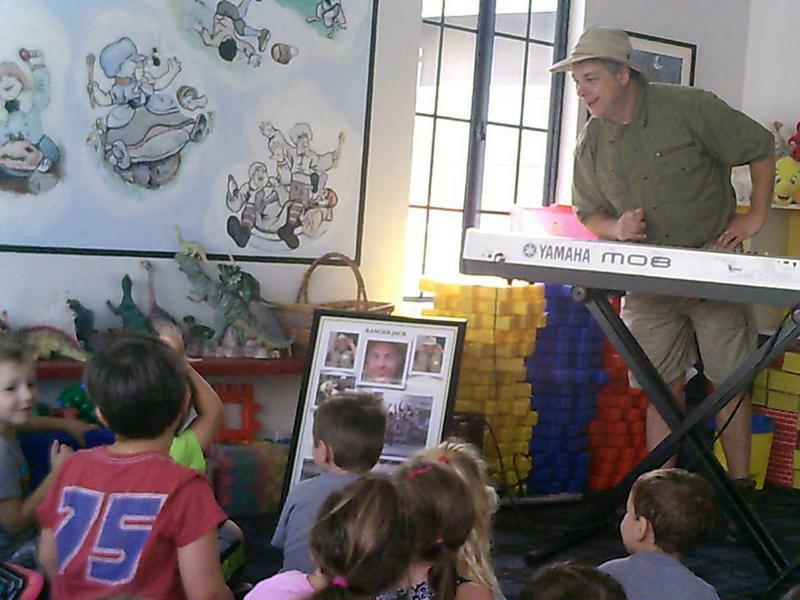 In 2013, Ranger Jack began teaching music in OC preschools. A year later he began teaching weekly singing classes in the Fullerton School District for All the Arts for All the Kids. And he still retains his longest standing career as a private piano teacher to all ages. He is now taking on students in Costa Mesa and Fullerton. Ranger Jack is now scheduled for more libraries as well as birthday parties and special events across Southern California. His calendar is filling up fast! So contact Animal Tunes, U.S.A and Ranger Jack now for your next birthday or family event.